Ben & Jerry's Free Cone Day is tomorrow, April 4! It's that time of the year again, when Ben & Jerry's Scoop Shop and local celebrities scoop for a cause. This Tuesday, April 4 from noon to 8pm, many of Spokane's TV and radio personalities will be scooping up ice cream at Ben & Jerry's in River Park Square. This year, Ben & Jerry's Scoop Show will partner with Lutheran Community Services to spread the word about Human Trafficking in Spokane. They are hoping to raise donations to support local victims of human trafficking and purchase 'Need help?' plaques for rest stops on our highways. This year, Molly Allen, Ken Hopkins, Robyn Nance, Kjerstin Bell, Spokane Empire Players, Otto the Spokane Indians Mascot, 2017 Lilac Queen & her Court, the Hoopfest Team, and many others have all volunteered to help scoop! 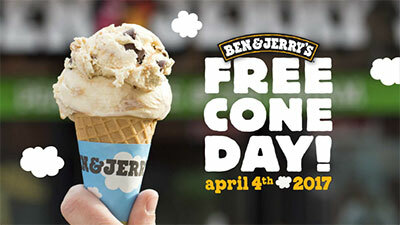 So don't miss Free Cone Day, tomorrow from noon-8pm at Ben & Jerry's! Patrick DeVries, president and CEO of DeVries Business Services is newly elected Treasurer for the National Association for Information Destruction. This worldwide trade organization is dedicated to assisting members with the tools to provide secure destruction services to an array of clients. The organization works hard to assist with the development of data protection legislation and strengthening of privacy laws to keep us and our information safe. Celebrating 21 years, NAID is the leading trade organization for the secure data industry. For more information on NAID, visit www.Naidonline.org. A new restaurant opens next month in the Lincoln Building, 818 West Riverside at Lincoln. Locally owned Sushi Saki is taking the 4,000 square foot space of the former McKenzie River Pizza restaurant at that location. They'll serve of course sushi, as well as Korean and Japanese dishes. There's a full bar. This will be Sushi Sakai's third location here. They have restaurants in the Gonzaga district at Boone and Hamilton, and at 11420 East Sprague in Spokane Valley. You can learn more on facebook. Long time broadcast sales professional, Chris Garras is rejoining KXLY Radio as the General Sales Manager of KXLY Radio and Phase 3 Digital. 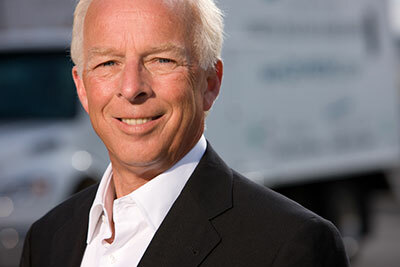 He was formerly with the broadcast group but left to run his family's furniture business. He still owns Metro Eclectic on Monroe Street, across from Kendall Yards, but has handed the day to day operations over to his son Alex Garras, who has been Assistant Manager since 2012. Thomas M. Swoffer CFA joins Asset Planning & Management, Inc.
Thomas M. Swoffer has joined Asset Planning & Management, Inc. as Senior Portfolio Manager. A Spokane native, he holds the prestigious Chartered Financial Analyst designation and brings 25 years of experience advising high net worth clients to the firm. Most recently, Swoffer was employed as Senior Portfolio Manager with a $14 billion investment advisory firm, managing portions of its large and small cap portfolios. Previously, he was employed as Senior Portfolio Manager with a privately-owned trust company as a co-manager of its equity and fixed income portfolios. Asset Planning & Management, Inc. is a fee-only wealth management firm, providing comprehensive financial planning and investment management services to individuals and their families. Founded in 1997, the firm is celebrating its twentieth anniversary in 2017. Chronic Tacos, based out of California is going to open in early summer in the Bennett Block. They're taking a 2,000 square foot space between Rocky Rococo and the Carhart store. Chronic Tacos will have seating for 50 as well as take out for breakfast lunch and dinner. Jacquie Cook has been hired as Sales Manager at the Quality Inn Oakwood. She brings with her extensive hotel sales experience and the drive to deliver excellent customer service. Jacquie will be responsible for outside group and conference sales while promoting the hotel as a 2017 Platinum Award winning Quality Inn. Helena Sampson was recently promoted to Assistant General Manager at the Quality Inn Oakwood. She has been with the hotel since 2011 as Executive Housekeeper. Helena has a degree in business management and was previously with Holiday Inn Express Cheney. Goodwill Industries has opened a 24,000 square foot facility in Post Falls at 4040 E. 16th street, near Highway 41. It replaces a smaller location in Post Falls. The new location has a store, a drive through donation center as well as offices and a regional transportation warehouse hub. Utah-based Maverik gas stations - convenience stores is adding multiple new local locations. Three are currently under construction at 1019 E. Francis Ave., NE corner of Francis and Nevada in North Spokane, 4337 S. Regal Ave, NE corner of S. Regal and E. 44th on the South Hill, and 2415 N. Argonne Rd, NW corner of N. Argonne and E. Montgomery in Spokane Valley. Two other new stations are planned for our area: 2702 N. Sullivan Rd., Spokane Valley ( Northwest corner of Sullivan & Marietta, near the Spokane Business & Industrial Park) and on the Southwest corner of Francis & Market. You can learn more about Maverik stations at maverik.com. This year's Spokane Bike Swap will be this Saturday, April 8 from 9am-5pm at the Spokane County Fair & Expo Center. Bike consignment check-in is Friday, April 7 from 3-8pm. If you have a bike you've outgrown or want to upgrade, or want to buy a new or used bike, you don't want to miss this event. All types of new or used bicycles and accessories will be available, from children's bikes, to road bikes to tandems and tri-bikes, over 1,000 used bikes are expected in the Bike Corral consignment area. If you're interested in selling a bike, register it online at www.SpokaneBikeSwap.com. Registering early will help expedite bike check-in on Friday. Bike registration is $5 and payable when you check in your bike on Friday and will be waived if you donate a bike. Registration fee will be waived on kid's bikes with 20 inch rims or smaller and priced $50 or less. For all bikes that sell, an 8% consignment fee will be assessed. This year's event will feature over 60 exhibitors and 13 local bike shops. Admission for the Bike Swap is $5 per person, 12 and under, free. Youth Leadership Spokane is a 10-month civic leadership training program, based on the principle of servant leadership. YLS and the YMCA have partnered to focus on developing the next generation of servant leaders and empowering youth for service to each other and their community. Topics include Public Safety, Diversity, the Arts, Financial Education, Governance, Human Needs, Healthy Communities and Communication. Tuition is $125 and scholarships are available. If you know a high school-age student in the Spokane area who would like to apply, refer them to www.leadershipspokane.org to apply online. Youth Leadership Spokane brings together several dozen sophomores, juniors and seniors from all Spokane County schools for an intensive, 10-month program. Each class sessions is held at a different-location, which allows students the opportunity to tour important locations in the Spokane community. In the past, class locations have included: Waste to Energy Plant, Inland Northwest Blood Center, a TV station, the Police Academy, Fox Theater. Applications are available online from through May 15.